I am attempting to create a VMDK of my Windows Partition (Win 10 x64 Pro - insider preview) on disk /dev/sda, where my Windows partition is /dev/sda1. 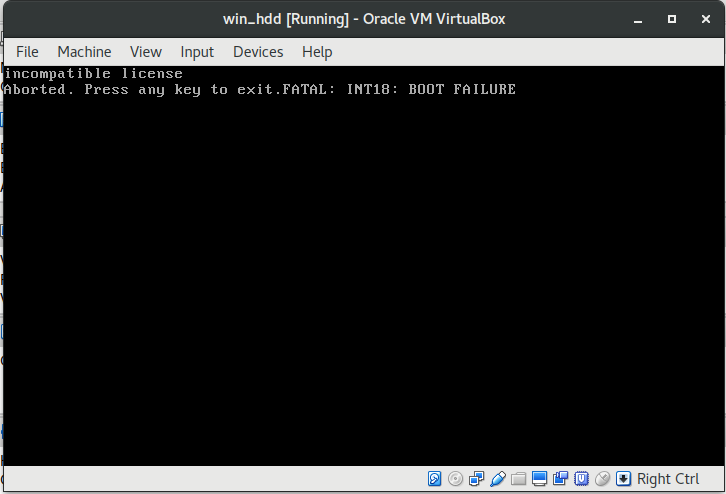 RAW host disk access VMDK file win_hdd_raw.vmdk created successfully. This error was diagnosed be someone from the comment section of another question I posted. In the comment section: @Seth resolved it was that the entire hard drive was being used, thus VBox attempted to load grub (my bootloader), this was causing the error I specified above. from the above info, one can see that partition "1" refers to a 230Gb partition of type NTFS, which is my Windows Partition. I would be inclined to scrap the -partitions flag altogether and hand -rawdisk /dev/sda**1** and see what happens. Not the answer you're looking for? 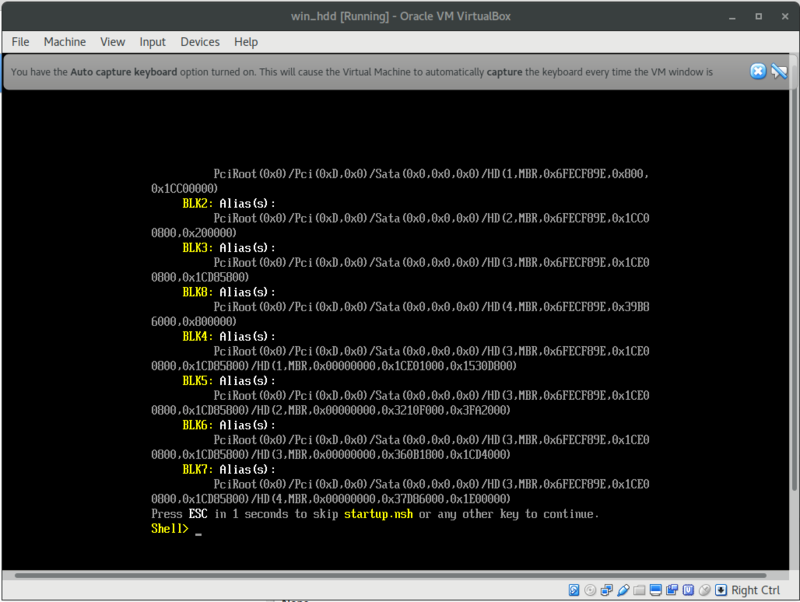 Browse other questions tagged linux virtualbox partitioning vmware or ask your own question. /dev/sda1 not a subset of /dev/sda? 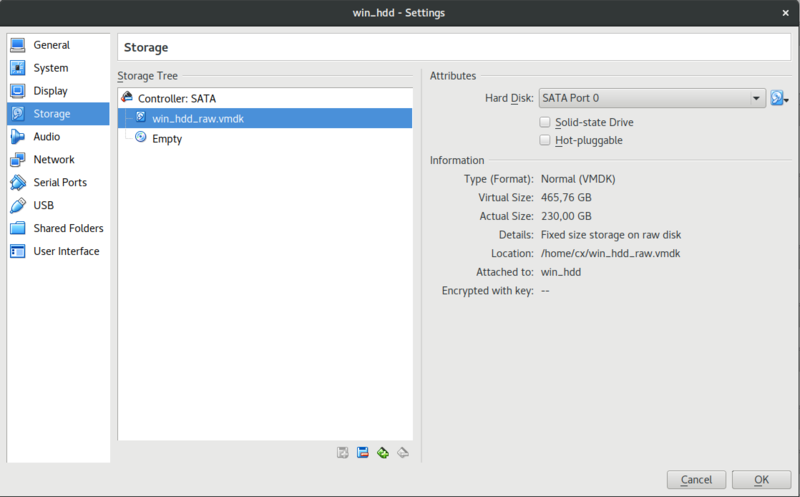 How do I run Debian via VirtualBox using the physical partitions (rawdisk)? Lvm on luks: can unencrypted mbr be used to install malicious software if only a big partition that covers the entire device is encrypted?